Primary medical care in Cuba is community-based. Physicians and nurses provide services in local neighborhood clinics. Rehabilitation services are not community-based. Rather, patients are referred to a provincial or city clinic where they are evaluated by an interdisciplinary team, which consists of appropriate specialty physicians and rehabilitation professionals. There are three types of education for physical therapists in Cuba. From the Russian influence, there is a model of medical doctors going for continuing education and becoming physical therapists. This is more like a physiatrist would be in the United States but with more emphasis on treatment. Cuba also has four year university-based physical therapist education programs and 2-3 year technical programs similar to the PT Assistant programs in the US. Both tend to fall slightly short of US educational standards and emphasize interventions for musculoskeletal conditions. There are three levels in the physiotherapy course offered in Cuba. The first level is called basic technician and is attained after one year of intensive hands-on training. The second level, (superior) technician is attained at the end of the third year. If you continue to the fifth year you would complete the third and final level which is called 'Licensing'. This final level is a specialization. In 2002, the life expectancy in Cuba was 78.7 years. Infant mortality was 7.3 per 1000 births. The five most common causes of death in 1990 were heart disease, cancer, stroke, diabetes, and accidents. Due to food rationing, nutritional problems are common. Iron deficiency anemia is the most common nutrition related metabolic disorder particularly during pregnancy. Common morbidities include coronary artery disease, hypertension, diabetes, and asthma. Cuba follows the Russian model of rehabilitative services which is based on an institutional approach. The government of Cuba segregates people with AIDS into sanitoriums. Many Cubans believe that illnesses and disabilities are punishments for past sins. Disability brings a social stigma and parents may try to hide a disabled child. 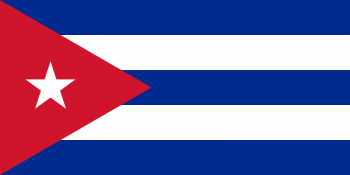 In 1991, Cuba had 19 physicians and 35 nurses per 10,000 people. Since 1992, health care services have declined due to diminished support from Russia and the US embargo on trade with Cuba including food and medicine. Due to limited information available, it is not known how rehabilitation services have been affected by these factors. The health care system in Cuba is under total government control. Health care providers work in a system of neighborhood medical clinics and are expected to live in the same community. All care is provided free of charge to Cuban citizens. “Health tourism” brought $25 million US dollars to Cuba in 1997. ↑ Lindeblad SL. Managing Director, Foreign Credentialing Commission on Physical Therapy. Personal communication November 5, 2010.